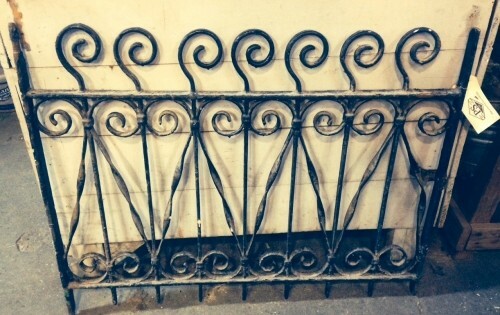 Salvaged decorative wrought iron piece, size: 32â€ H x 26-1/2â€ W x 1â€ D. Minor rusting to be expected with age. Come visit to see for yourself, we are located in the West Mt. Airy neighborhood at 542 Carpenter Lane, 19119 between Greene and McCallum Streets. M-Sun 10 to 6, Thursdays until 7 pm. 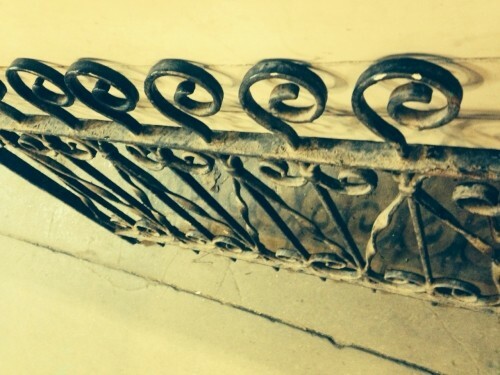 All of our items are salvaged and sold â€œas-isâ€. 215.843.3094.